This episode features two guests from the University of Chicago—Dr. 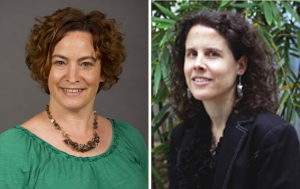 Julia Koschinsky, the Executive Director for the Center for Spatial Data Science, and Dr. Nicole Marwell, an Associate Professor in the School of Social Service Administration. They are leading a project, funded by the Public Health National Center for Innovations (PHNCI), which is analyzing data on geographic access to health and human services to help government officials address gaps and maximize the impact of existing resources. The project will offer a replicable framework and tool for analyzing and improving distributions of public funds for health and human services. This podcast is also available on iTunes, Stitcher, and TuneIn. All In: Data for Community Health is a nationwide learning collaborative that helps communities build capacity to address the social determinants of health through multi-sector data sharing collaborations.